It's BBQ time! 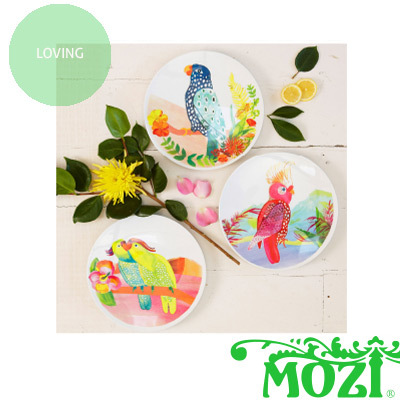 I'm quite taken with these Australian parrot plates in outdoor-friendly melamine from MOZI. Choose from three cheeky designs to brighten up any picnic or BBQ. You can find them in the MOZI online store and select stockists.